As I recharge the batteries while on vacation overlooking the beach from my rented balcony in Indian Rocks Beach, Florida, I sit in amazement at the world’s evolution. Growing up back in the day when families regularly took vacations, everybody would truly disconnect from the world which they left behind. Once after you hopped in that station wagon and drove out of your neighborhood, nobody knew where you were, where you were heading or when you would be back — unless you told someone or called them from a payphone along the way. On the flip side, if you didn’t arrange a house-sitter, a neighbor or family member to keep an eye on your home, you also didn’t know once you returned if all your belongings iwould be waiting for you when you returned. 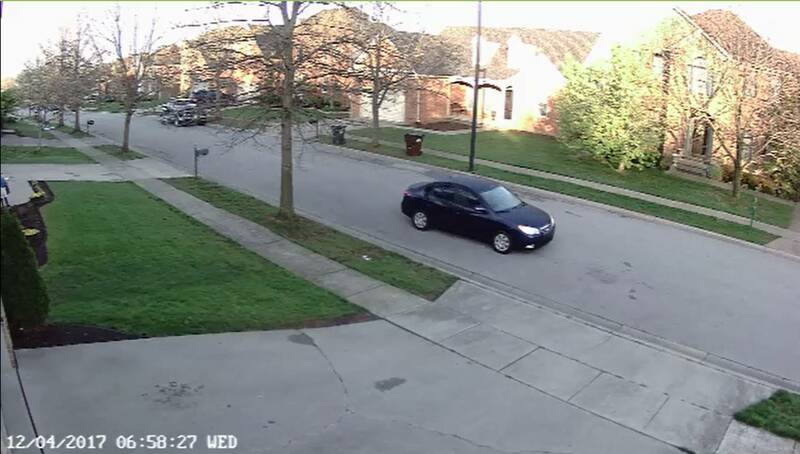 As I sit drinking my morning coffee overlooking and listening to the sounds of the Gulf coast as people hunt for seashells, I am checking my security cameras back at my house some 850 miles away in real time from my smartphone, trying to figure out who just pulled up across the street from my house. Earlier in the week, I was even able to confirm that my son actually did mow the yard before paying him for his service, again from my smartphone. A little over a year ago, after somebody broke into my truck overnight for the second time, I came to the conclusion that it was time to invest in a security surveillance camera system for my home. I ended up installing it myself. The technology advancements in surveillance cameras have come a long way since my days of catching shoplifters back in the late 80’s and 90’s. For just a little over $100 per unit, I was able to purchase the more sophisticated indoor/outdoor wireless Wi-Fi IP 1080 High Definition units that are connected to the cloud. These units mounted at my house are equipped with a 4X optical zoom, night vision and motion activation technology. Each camera has its own 16G of memory with push activation that sends me a notice every time something moves, to include lightning bugs that fly by late at night (until I reduced the motion sensitivity on the cameras). In fact my cameras are currently set up to send me an email with a video clip anytime the motion detector is activated. What I have learned since installing these cameras is that this can be a little bit too much informational overload. I now know all my neighbors’ work schedules, how many cats, rabbits and coyotes live in my neighborhood, who lets their dog relieve themselves in my yard, and that the police officer down the street works second shift and rolls in just before midnight most evenings. To have a little fun I once even texted my neighbor, Mike Hall, asking him if he was late to work one morning after seeing him head out 10 minutes later than usual. Home security cameras systems are fast becoming a necessary tool to protect our families and your belongings. The first security camera was invented in 1942 by a German engineer, Walter Bruch, when he installed one on a V2 rocket. It wasn’t until the 1960’s they started to gain popularity in the workplace for security and safety reasons. The banking industry was the first to begin using them, and today they can be found in just about every industry. In 2014 it was estimated that there were 40 million security cameras in the America and some 245 million professionally installed video surveillance cameras active and operational globally. The video surveillance industry generates about $25 billion in revenue worldwide — which has doubled in the last four years — and they are on pace to continue to grow well into the 2020’s. While China is forecasted to have almost a quarter of the market share by 2019, the United States has the most number of surveillance cameras per thousand of people according to statista.com. Surveillance cameras have been proven to reduce and prevent crime and many businesses use them to keep an eye out on their employees while trying to prevent theft and vandalism. Surveillance cameras are often used in industrial areas where it is not possible or safe for humans to enter, such as nuclear power plants and chemical factories. They are also used in many public facilities like airports and train stations to help deter and detect criminal activity. In the U.K., it has been said that there is one surveillance camera for every 14 people. Now that the prices have dropped significantly homeowners are now installing whole security surveillance systems throughout the interior and exterior of their homes. The new popular video doorbell maker named “Ring” recently claimed that they were selling 54,000 units per month, which is designed to allow homeowners to monitor their front door and even communicate through a cellphone app once motion is detection on their doorstep. Even if someone doesn’t press the doorbell, motion sensors can send notifications and record video, which is now serving as a huge deterrent for package thieves and burglars. Surveillance cameras are installed almost everywhere today and as a result the average American has their image recorded by dozens cameras every day. Some have even estimated that on average any one person who lives in an urban environment is recorded as much as 50 time a day, and that number will continue to grow in the future. Big Brother has gotten on board in a big way as well, as facial recognition technology is now being used by law enforcement to identify, track and prevent criminal activities with the aid of these cameras. License plate readers are now affixed on just about every interstate and major highway monitoring the comings and goings of anybody driving down our roadways. So when an Amber Alert is issued, police have the technology to be notified of the whereabouts of a vehicle when it drives in front of one of the license plate readers to help locate the missing person or people. Other municipalities use surveillance cameras to find areas of traffic congestion as well as detecting traffic violations where the culprits later receive citations through the mail. Local police departments across the country are now setting up programs for local residents and business owners to register their surveillance cameras to help them fight crime in their neighborhoods and places of business. Just recently the City of Covington’s police department was the first city in Kentucky to announce the start of this new program, which I write about in my next article next week. The program is designed for situations when the police department is notified of a crime, investigators can quickly determine if there was a surveillance camera nearby that may have recorded the activity to help them solve the crime. Aside from staying home with the curtains drawn, there is no easy way to avoid unwanted recording by security cameras. The U.S. courts have ruled that people do not have an expectation of privacy in public places as it pertains to photography/camera. The fact is surveillance cameras are here to stay and are fast becoming a staple in our society. As for me, I must say that it is a bit relieving to be able to keep an eye on things back home from this balcony as I write this article. Since installing my surveillance cameras it’s been somewhat uneventful, but I am comforted in knowing that if something was to occur, I will have evidence that may help catch the person responsible. Many of my friends have threatened to come over and moon me in the middle of the night, but thus far — thankfully — that has yet to happen. About the most excitement thus far that I have recorded since installing my surveillance cameras was the night I witnessed my college age son run out to his car in his bare feet and underwear around 2 a.m. to retrieve his cellphone charger the night he decided to sleep over. The video has since been archived for blackmail material for a later date. Keven Moore works in risk management services. He has a bachelor’s degree from University of Kentucky, a master’s from Eastern Kentucky University and 25-plus years of experience in the safety and insurance profession. He lives in Lexington with his family and works out of both the Lexington and Northern Kentucky offices. Keven can be reached at kmoore@roeding.com.